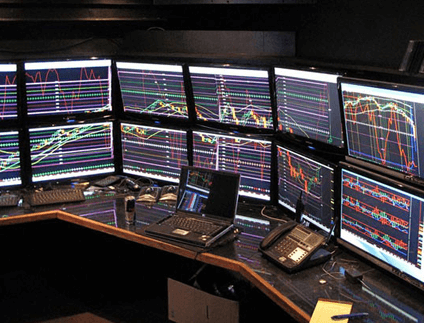 FAQ – Online Trading, Intraday Tips, Futures Contracts, etc. Day trading can mean many things, but Day Trade to Win focuses on teaching traders how to use their own computers to successfully trade popular futures and currencies. Most of our clients trade from a home or small business environment. Day trading requires you to have a reasonably fast computer (preferably a Windows computer purchased within the last four years), a reliable, fast Internet connection, a day trading software platform, data feed access, and an account with a brokerage. Later on, you can get fancy and purchase multiple monitors if you want to keep your eyes on multiple markets. For now, you should learn how to use your trading platform. We can help you learn with our educational day trading courses, software, and coaching programs. This is what we call "overkill"
If you are new to trading and assume instant riches are easy to achieve without any risk, think again. Yes, you can make money. Yes, you can also lose money. These are facts regardless of all the marketing hype and internet ads you’ve probably come across. The idea that risk does not exist when trading any type of markets is just wrong. Internet marketers are savvy and would lead you to believe otherwise, but markets are, by nature, unpredictable. As an educational company, DayTradeToWin focuses on providing education to traders. This education includes information on understanding the risks of trading. Software and programs that provide guarantees, claim low risk, or 100% accuracy should be avoided. At DayTradeToWin, our approach is based on commonsense methods and rules used to increase opportunities to become successful. When trading, there can be severe financial consequences that need to be seriously considered. We recommend taking time to first learn about the markets and your trading methods in a live, simulated environment. Be sure to read the materials, watch the videos, ask questions, and attend the training. Although there are differences between a practice environment and real-money trading, you will still be better prepared. You will never be able to avoid risk. However, by practicing, you can learn to avoid silly mistakes. If you are a beginner trader, you will experience a learning curve. There are many outcomes and situations outside of your control. Prior to trading with real money, always consult with a licensed broker to ensure a clear understanding of fees, margins, risk, and reward. Trading the markets with real money is not for the faint of heart. If you do not understand the risks, ask questions. Educate yourself on the risks. Call or email a licensed broker and find out how commodity futures, currencies/forex, stocks, options, etc. operate. DayTradeToWin focuses on empowering you, the individual, on how trading the markets is possible, including the risks that may occur. Part of the education is also encouraging you, an individual trader, to speak with a licensed representative of your choice regarding the appropriateness of investing/trading any particular investment or trading strategy. The study of price movement as it plots on day trading charts in the form of bars, candles, etc. When used correctly, price action can be used as a tool for anticipating market movement. All of our day trading methods are based on price action, as it is objective and the only truly accurate indicator of market activity. A place to trade futures contracts with your trading platform. We often use the NinjaTrader trading platform to trade futures markets. The E-mini is considered a futures market, as traders buy and sell the market according to the speculative value of E-mini futures contracts. 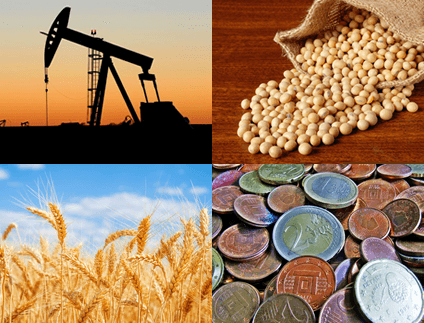 Other examples of futures markets include soybeans, crude oil, and treasury bonds. Often used in place of the word "market," an instrument is a tradeable asset involved in a financial exchange. There are two types of instruments – cash and derivatives. With cash instruments, value is determined directly by the markets. Cash instruments also include securities. Derivatives are based on underlying indexes (also called indices), interest rates, or assets. As a quick reference, stocks and bonds are generally defined as securities and equity and Forex (currency futures) as derivatives. Generally speaking, a futures contract is a binding agreement to exchange an asset between a buyer and seller at present with a transfer occurring in the future. A future-based exchange ensures both parties do not default and put up the initial amount of cash or asset value. In the case of the E-mini, one contract is one-fifth the size of the standard S&P 500 futures contract. E-mini traders do not exchange physical goods, but instead place speculative buy and sell orders. Futures contracts are settled on a daily basis, meaning the day's trades are credited or deducted each trading day. In most cases, futures markets are mirrored by their cash market counterparts where the related physical commodity is bought or sold. Events related to the climate, war, politics debts, territories, and technological discoveries affect futures contracts. When you look at a day trading chart, typically on the right side of the chart, you will see a vertical list of numbers. This is a list of prices. When price candles move along the price axis, the candles are moving in increments called "ticks." A tick is the smallest amount a market (or financial instrument) can move. The CME Group decides how many ticks make up a point. They also decide how much each tick or point is worth in dollar value. For example, with the E-mini S&P, they decided a point is worth $50. They decided that four ticks make up one point. Therefore, you can use division to figure that each tick in the E-mini S&P is worth $12.50. Therefore, if someone says two ticks of profit were made, that means $25. Of course, this $25 does not include broker fees and other trading costs, but that's a different topic. The CME Group's website contains contract specifications for the markets they oversee. To look up contract specifications so that you can calculate tick values, use their search page. Also, you can watch a video about calculating tick prices here. The E-mini is a futures market (instrument symbol is ES) traded on the CME. The E-mini trades in .25 tick increments. Each tick of .25 is worth $12.50. One point is equal to four ticks and worth $50.00. The speed, liquidity, and structure of this market are reasons for its popularity among floor and online traders. It closely tracks the S&P 500 index, the premier benchmark of the stock market. With ease, you can get in (long or short) and get out whenever you want, at the price you want. The E-mini pit session (also called the day session) is traded weekdays from 9:30 a.m. to 5:15 p.m. US/Eastern. From 5:15 p.m. to 6:00 p.m., CME Globex closes and the E-mini cannot be traded. Trading resumes for the overnight session at 6:00 p.m. and continues through the regular trading day that begins at 9:30 a.m. We recommend trading the morning/pit session (that begins at 9:30 a.m.) because it offers consistent levels of tradeable volatility. The contract specifications as defined by the CME can be found here. At Day Trade to Win, we aren't fans of Forex because of the "you vs. the world" structure and lack of regulation. Without a central hub for regulating the foreign exchange currency market, financial centers around the world allow Forex traders to buy, sell, exchange, and speculate on currencies. These traders consist of individual investors, commercial companies, banks, and brokers. For these reasons, Forex is considered the world's largest financial market and is also the most liquid. Trillions of dollars are exchanged every day. Currency pairs (ex. EUR/USD) are the market / instrument equivalents in trading platforms. In Forex, you are trading the difference in value between two currencies. In fact, exchange rates are based on the Forex market. Speculators buy currencies that are expected to rise in value and sell those that are expected to fall. Monetary policy, politics, interest rates, and imports and exports all influence currency values. Compared to the E-mini, the Forex markets operate under longer hours, but its traders are subject to the "bullying" of brokers and traders with large accounts. Also called the "Merc," the CME has existed as an exchange in one form or another since 1898 (known at that time as the Chicago Butter and Egg Board). In 2008, the CME merged with the New York Mercantile Exchange (NYMEX) and COMEX. 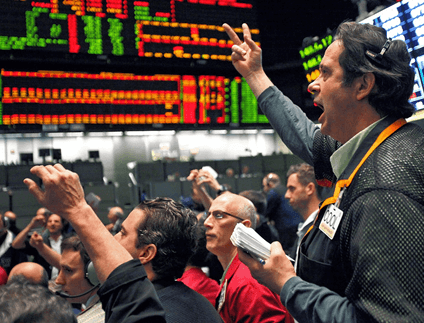 The CME now encompasses NYMEX, COMEX, and CBOT (Chicago Board of Trade). Today, a wide range of financial instruments are traded on the CME: interest rates, equities, currencies, and commodities. The CME is the largest futures exchange in the world. The CME is traded electronically through the CME Globex platform. Eighty percent of the total exchange volume occurs electronically on CME Globex. See the full list of trading hours and holiday hours. LIFFE (London International Financial Futures Exchange), pronounced "life," is a futures exchange based in London. LIFFE has been a part of NYSE Euronext since 2007. Its most popular derivatives include the FTSE markets. The LIFFE Exchange operates at the US/Eastern equivalent of 3:00 a.m. to 11:30 a.m. The LIFFE influences markets related to the Euro, and is therefore worthy of attention. This refers to traders who once traded in person on the "floor" (also called a pit) of an exchange. Most pit trading these days is non-existent. These traders used hand signals and voice commands to communicate buy and sell orders. In July 2015, the CME permanently closed all pit trading and trading is now entirely electronic. Electronic trading makes trading easier by reducing trading costs, human error and increasing accessibility. John Paul learned many of his price action trading methods directly from floor traders, adapting the techniques to the online trading format. These are traders (probably like you) who use a trading platform like NinjaTrader, TradeStation, eSignal, etc. and trade from a home or small-business setting. These traders are trading for themselves and use their own brokerage accounts of a relatively small size. At Day Trade to Win, retail traders are who we teach primarily, as we feel anyone can improve from our methods, from beginners to those with years of experience. This term describes the software used by day traders. Online traders have many choices for platforms, each offering a unique feature list. We primarily use NinjaTrader as our platform of choice. 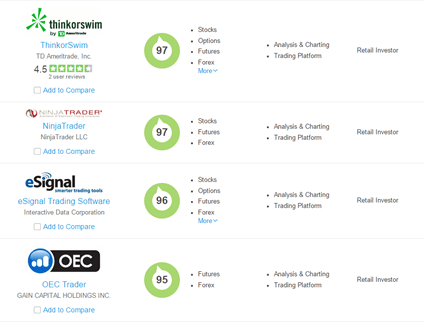 Other popular trading platforms include TradeStation, eSignal, OEC, Multicharts, MetaStock, MetaTrader, and thinkorswim. Platform differs in terms of brokerage and data feed support, whether they are web-based or run on your machine, and feature robustness (automation, backtesting, technical analysis, etc.). Most platforms offer trial periods, where you can test the software. Remember, more expensive does not always mean better. Read the fine print, check the hidden costs, upgrade fees, and quality of customer support. In terms of E-mini trading, a maintenance margin is a dollar value required to exist in one's brokerage account in order to meet requirements and losing trades. Brokerages that target the E-mini may offer margins as low as $500, however, having at least double the minimum value is recommended. Most brokerages require margins from $1,000 to $3,000 for E-mini trading. The margin value also determines how many contracts one can trade. Margin values vary across brokerages. If a trading account's capital falls below the margin value, the number of contracts traded must be reduced (until the capital is replenished). Ideally, we recommend opening a decent-sized account for two reasons: absorbing inevitable losses and to withstand the learning process of E-mini trading. For overnight trading, expect a brokerage's required margin amount to increase. Scheduled economic reports, prominent political figures, and big-headline world events can cause massive price fluctuations in the markets. The best resource for staying on top of scheduled events is the Bloomberg economic calendar. Watch for red star and Fed Chair events, as these cause volatile activity. Even better, you can download a news indicator for NinjaTrader. We advise staying out of the markets until volatile activity subsides. You can learn an exact setup for trading the news on the videos page. On day trading charts, these are visual representations of price as it fluctuated over a given time frame. Each candle includes an opening price and a closing price. In the charts that appear on Day Trade to Win, green candles represent a price that closed higher than the price at which it opened. Conversely, red candles represent a price that closed lower than the price at which it opened below the previous candle. Dojis are candles in which price opening and closing prices are virtually equal. Most of our day trading methods are based on observing candlestick patterns in real-time in relation to the ATR in order to determine how to trade. We often rely on NinjaTrader's bar timer (included as an indicator by default), a countdown timer that lets us know when the current bar will close and when the next bar will post. You can download a bar timer for TradeStation here. Indicators are software tools that appear on your day trading charts. Indicators usually included with trading platforms. Some trading platforms offer third-party indicator support. Indicators can perform a variety of functions, from providing exact entries (e.g. – the Atlas Line®) to drawing Fibonacci patterns, graphical representations of volume and other market data, and even taking trades automatically. Generally speaking, indicators are known to lag behind real-time market conditions, as they are based on past performance history. Also, some indicators need to be reconfigured weekly, monthly or other regular basis, as market conditions change over time. Indicators can often be interpreted many different ways. Such speculation, adaptation and delays are often sources of frustration for traders. We teach price action trading, free of these downfalls, for clear, objective trading rules. A common tool/indicator available on many charting platforms, the ATR provides a visual depiction of price movement within a specified time period or candle range. At Day Trade to Win, we use the ATR to assess a market's volatility in real-time. Using this value, we can determine how to manage each trade in order to minimize risk. Learn how to use the ATR by watching this video. In addition, you can learn how to use the ATR across multiple markets by watching this video. A data feeds connects you to the markets, allowing you to get real-time price information on your charts in the form of candles, bars, etc. A data feed may also connect you to a brokerage, linking your trades to a live account. Data feeds may also provide historical data, which is important for assessing trading method performance in the past. Your geographical location's distance to computers in the data feed's network may affect trading latency. We recommend the NinjaTrader Continuum feed (also called the CQG feed). Contact us for information on how to get a free data feed for trading real-time futures in NinjaTrader. Trading platforms like NinjaTrader offer a way to learn and experiment with trading by using a simulated account. Using a free, live data feed and a simulated account, you can get an experience that is very close to real, live trading. Because of its simplicity, versatility and speed, NinjaTrader is our recommended trading platform. NinjaTrader supports stocks, futures, and forex. This platform is used for advanced charting, market analytics, trading system development, and trade simulation. This is all offered for free – you only have to pay for NinjaTrader when you're ready to go live. NinjaTrader offers pricing models in lease and lifetime formats. NinjaTrader also conducts weekly webinars where you can learn how to use the software along with the video library. Click here for our Get Started Trading Guide, which includes a NinjaTrader download link. This term refers to managing the placement of orders, profit targets, stop losses, contract amount, etc. in real-time or as provided by a system. Trade management is incredibly important, as it ultimately dictates the profit and loss of each trade. At Day Trade to Win, we let the volatility of the markets tell us how much to risk. Our definition of front running refers to a tactic to increase chances of order fullfillment by entering a trade before and in front of other traders. Orders are processed on a first-come, first-served basis. In some of our methods, we look to receive fills one tick "in front" of the normally desired value. Since we are not brokers, our version of front running is based on a reasonable expectation of where price is headed based on our trading methods. Our definition differs from the textbook version that states front running is the questionable practice of a broker executing order for his or her own account based on advance knowledge of pending customer orders, thus resulting in an unfair advantage. Click here for a video on front running. Day trading futures is a zero-sum game. At the end of the day, the number of buy and sell orders must be equivalent. However, high frequency trading systems, automated systems, and groups of traders work to influence how the markets are traded for their own benefit. Several of our commercially available methods take advantage of this artificial movement, specifically the Floor Trader Secrets Manual (X-5 Trade). By understanding that manipulation exists, the movement of price becomes less random. In fact, due to manipulation, exact trading setups occur regularly. Learn to identify these setups through our courses and you're on your way to becoming a better trader. Twice each trading day at 10:30 a.m. and 3:00 p.m. London time, five members of The London Gold Market Fixing Ltd meet via telephone conference to decide the price of gold. These decisions are meant to settle contracts in the London bullion market; however, the implications reach further. The result is a benchmark of gold value used by the world's financial institutions, markets, mining companies and jewelry retailers. The five members never release official data regarding how fixes are reached. Is it surprising that markets are manipulated with things out of your control? As a trader, you should be aware of it – not everything is fair and balanced. If you're using indicators, you'll likely be a victim of this type of "fixing" due to a strict, algorithmic approach. Instead, by using price action, you can achieve better results. Our Power Price Action and Atlas Line methods are perfect for identifying trade opportunities in the highly speculative Gold Futures (GC) market. When trading, it's extremely important to make sure your Windows time is accurate. Discrepancies between Windows time and the timing of incoming live data may result in inaccurate charts, and potentially, missed trades. 4. Close out of the Windows time settings. Prefer to use third-party software that keeps Windows time accurate automatically? 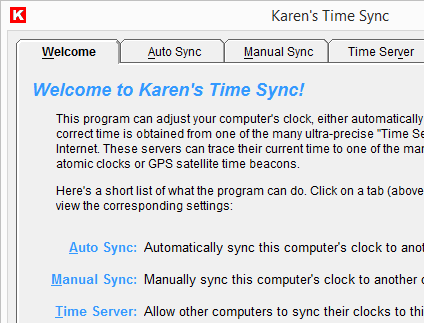 Click here to download Karen's Time Sync. Using the Auto Sync feature, KTS will automatically synchronize your computer clock with ultra-precise, official time servers in your time zone. 2. You should then see a report at the bottom indicating the success of the sync. If an error occurs or a connection cannot be established, find a new server in your area and try again. With CME futures contracts, contract rollover day is always the first or second Thursday or Friday of the expiring contract month. These expiration months are March, June, September and December. Your day trading platform may automatically warn you of the rollover. Why is it important that you roll over the contract? Well, you can't trade an expired contract. Also, follow the volume and liquidity. This applies to CME markets like the ES, 6A, 6E, etc. 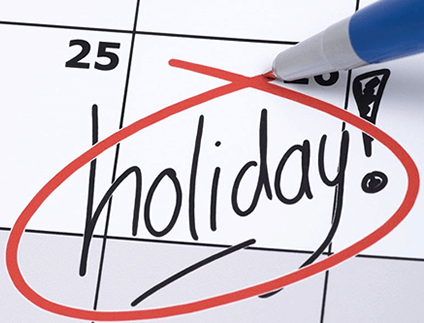 On a regular basis, it's a good idea to refer to the CME Holiday Calendar to be aware of upcoming holidays. Usually, CME Futures do not trade on U.S. bank holidays. • Traders who act as the underlying force behind the big moves are on vacation. Therefore, the remaining traders fight like mice pulling cheese, causing the market to move erratically. This erraticism is further influenced by press releases, quarterly profit statements and expectations. • Expect half days and days before holidays to also behave erratically or hardly move. • FOMC (Federal Open Market Committee) meeting days and those surrounding the meeting days, the volume becomes thin and price trades in small channels. • Use your trading platform's ATR (Average True Range) software to determine your targets and stops for each trade. Trade within what the market can produce at the given moment based on an ATR setting of calculating based on the last four bars. Consider holding back if the ATR is slow at 1 points or chaotic at 5+ points. • Around the big (spending) holidays like Christmas, many traders will get out or get in large positions in anticipation of tax regulation. This creates uneven spikes in the market. • Seasonally, expect markets to trend long-term towards the end of the year. Take this into consideration, especially with long-term positions. However, during months at the end of the year, expect daily profits to be less as compared to other months. Therefore, your lower monthly profit target should also be less. • Remember that there's more to life than trading! Spend much needed time with your family on Holidays. If the trading day just isn't working in your favor, spend it with those whose company you enjoy. 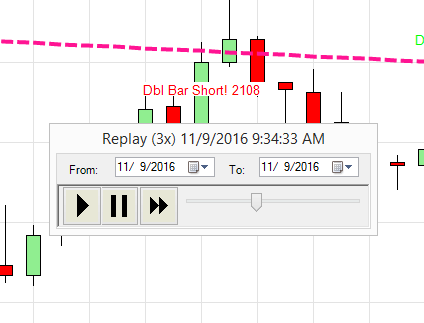 With NinjaTrader, it's possible to replay market activity from the current day or previous days as though it's occuring live. After downloading a given day's replay data, NinjaTrader uses the data (either minute or tick) to plot price at the exact values at the exact time as recorded. In effect, you can see price plot on your charts and DOMs as though the day (or night) is unfolding in real-time. Orders can be place and success can be tracked using the Replay101 account (similar to Sim101 account). Replay101 is NinjaTrader's designated Market Replay account. 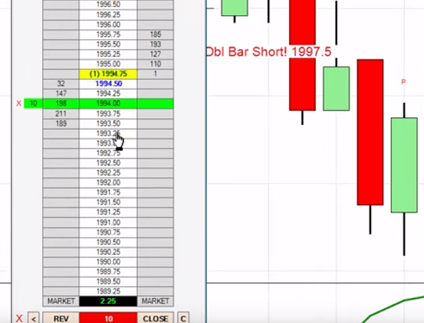 NinjaTrader lets users download history for free. Why should you use NinjaTrader's Market Replay? • Don't wait until tomorrow to practice under live trading conditions! 1. If you are currently connected to a data feed, disconnect from it. 3. Go to Connections > Playback Connection. The Playback window should appear. Playback lets you fast-forward to a specific time and start playback from there, at 1x, 2x, and much faster speeds. You will first probably want to drag the slider to the time when the market you're trading opens. If you're in US/Eastern time and trading the E-mini, this would be 9:30 a.m. After dragging the slider to the desired time, allow NinjaTrader a few seconds to "catch up". Once your chart is positioned at the desired time, you can begin playback and practice trading. You can also change the speed as needed. If you want to "try again", simply drag the slider back to the desired position, wait for NinjaTrader to catch up, and play back again. If you are expericing error messages, be sure the Start and End dates reflect the data you downloaded in the previous step. Once you're done using Market Replay, disconnect from the Playback Connection. 3. In the bottom right corner of the Control Center, you will see that the Replay Data is downloading. This will take a few minutes. Before continuing to the next step, please wait until the downloading status disappears. 4. Go to File > Connect > Click Market Replay Connection. Open a chart and a DOM if you don't have them available. Make sure that the replay connection is selected in the chart and DOM. You should also see the Replay player. With this tool, you can pause market activity, fast forward and play. Drag the slider to advance to a specified time frame. 5. Trade like you're using a real account. If you run into problems missing historical data in Market Replay mode, you may both download and view the historical data that you have saved on your local computer by going to the NinjaTrader Control Center > Tools > Historical Data Manager > Edit tab. As long as you have data for the days you are requesting in the Edit tab, then you will see that data when you are using the Market Replay. How many times have you had price hit your profit target without a fill? Probably over and over again on the same trade, right? And to make matters worse, price then runs away from you, so you've lost out on the trade entirely. Yes, it happens to everyone. It's not just bad luck. Trading is a zero-sum game. Unless price trades through your profit target limit price, you may not get filled. Electronic markets use a "first come, first served" rule. Your profit target is waiting in line with all the others placed before it. Now, let's take a look at how we can use NinjaTrader's automation to achieve better fill results. We'll accomplish this through the ATM Strategy area on the SuperDOM. The ATM Strategy area can be access through the lower part of the Dynamic / Static SuperDOM. The SuperDOM is also referred to as the "price ladder." You probably trade with a SuperDOM already, but if not, you can open one in NinjaTrader 7 via NinjaTrader's Control Panel > File > New > Static (or Dynamic) SuperDOM. If you're using NinjaTrader 8, go to NinjaTrader's Control Center > New > SuperDOM (Dynamic). The ATM Strategy feature's main purpose is to preconfigure profit targets and stops for your trades. There are quite a few options available to configure, including multiple profit targets, different templates to save and load, even alternate stop strategies. For now, we'll focus on the basics. With the "first come, first served" rule, speed is important. The faster we place our limit orders for profit taking, the better positioned we are to be filled once the price is tagged. In a roundabout way, we are cheating a little by beating others to the punch. As an example, I have two methods I use to scalp the markets – Price Action Scalping and The Trade Scalper. Each method risks 6 ticks for a stop and 3 ticks for a profit on average. Once I enter into a trade by hitting the market button or entering on a limit order, I need to place my target and stop immediately. If I spend precious seconds fiddling with placing the stop and profit manually, how many other orders have possible been placed ahead of mine? As you can see, automating this process is vital for timely execution. Templates can be created ahead of time for scalping (3 tick profit target with a 6 tick stop), or for any other strategy. 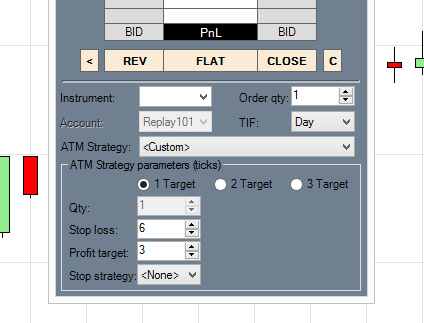 To create an ATM Strategy template in NinjaTrader 7, right-click on the DOM in the bottom-right empty grey area. A menu should pop up. Since the E-mini S&P (ES) has been slow lately, my primary template is 8 ticks profit and 16 ticks stop. I can easily adjust up or down once the order is placed if I need to increase or decrease the ticks. I recommend having multiple templates for different markets and different methods accordingly. In NinjaTrader 8, creating a template is easier: under ATM Strategy, there should be a box that says None. Click this and select Custom. The rest is self-explanatory. As a trader, it is important to understand some advanced tactics that can make or break a trade. One method I advocate using is front running. The way I use this term is a bit different from its standard meaning. You will be surprised at how it can improve your bottom line for both entries and exits in any market. The standard definition of front running describes how brokers and insiders positioned themselves unfairly using information from the traders they represent. Before the regulatory agencies starting cracking down, front running was a widespread "pump and dump" scheme. As individual retail traders, we front run trades by placing the profit target one tick "in front" of our goal. This greatly improves the chance of getting filled. Seems simple? Yes, it is. Surprisingly, many traders never front run trades using this method. Let's say you are long the market and you have a profit target of 1400 on the E-mini S&P. There may be 5,000 other traders waiting for the same price to enter on limit at 1400. This could create a problem because orders are processed on a first come, first served basis. If you wanted that exact price (1400 limit), yes, you could achieve it, but not unless 1400 was penetrated to 1400.25! This is why trading can be a rough game, but it doesn't have to be. When front running in this example, you would move the target to 1399.75 (effectively in front of 1400). When you should front run trades? Watch how the market reacts when approaching the price you want. In the chart below using the ATO method, 1400.75 was attempted multiple times starting at 10:20. When the market tries (unsuccessfully) to continue a trend or move showing multiple, consecutive failures, that's an indication to move your target back by one tick to ensure a fill. You can use the same scenario for entries, which would have guaranteed an ATO entry in this same example. Always look for bar effect as proof. 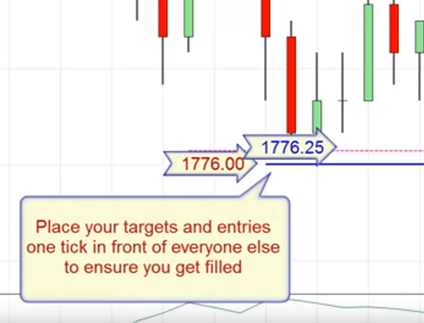 This tip will allow you to exit or enter a trade when the writing is on the wall. Also, front running is not always necessary – it works great for slow markets. Ever been in a position where you needed to calculate what your time zone is in another part of the world? At Day Trade To Win, we do this all the time for our customers. Some of our software requires an adjustment to the market open time, depending on where the user is in the world. Knowing how to convert time zone also has countless other benefits. One of the easiest options – your local time is automatically determined. If you need to change it, type in a new time in the correct format. Select a city on the right to display the comparable time. For trading purposes, you may want to switch to the 24-hour (military) format by selecting "24" on the bottom. If you want to perform more advanced conversions, this is the place to go. There are a host of time related applications: a world clock, date to date calculator, stopwatch, and much more. If you've never used WolframAlpha, it's use is much like a search engine, only it can perform advanced mathematical calculations. Google around for the many uses of WolframAlpha if you're ever bored. In our case, simply typing in "time difference between Florida and Hong Kong" presents all the information we need. WolframAlpha is very good at interpreting what you're asking. If for some reason you'd ever want to configure a chart in a time zone other than your own (set by the computer clock), you can do so using NinjaTrader's Session Manager. By counting the difference between the two time zones, we can see that Hong Kong is 12 hours ahead of Florida. In your courses, how many points per day are you looking to get? This depends on the particular course. 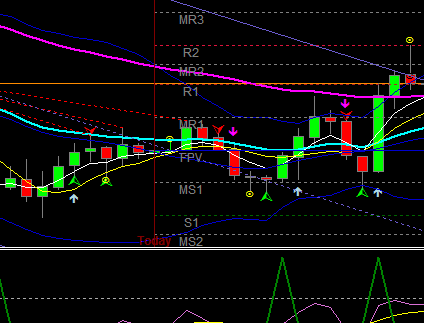 The Trade Scalper focuses on two to four ticks of profit, whereas the Atlas Line is for larger two to four point moves. For trading any of our non-scalping methods on the E-mini, we generally focus on a goal of one to four points depending on the day's price action. We recommend against over trading. We teach risk management and how to use the market's price patterns to find opportunities. What are your stops (stop losses)? Again, each method uses different stops. Generally speaking, we teach three stop strategies: Catastropic, Time-Based and Prove-It. Catastropic provides a final safety net in the case of a large, unexpected fluctuation in price. Time-Based is a rule that tells you to exit the trade if you're not filled within a given time frame. Prove-It uses market conditions to tell you when to exit a trade. When trading, we believe fewer, more accurate trades are better than many trades. Each time you enter, the greater the risk and broker fees. Also, our stops use values that are realistic. If you're stops are too small, they're hit too often. Conversely, large stops expose your account to greater risk. We've helped veteran traders as well as those who are just starting out. If you're a beginner, you should at least have an understanding of how to operate your trading software and basic trading terminology. 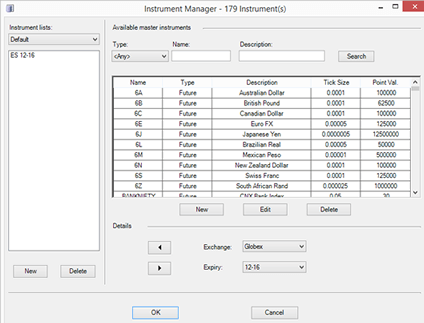 You don't need a live trading account with a broker – you can paper trade our methods with a live, simulated data feed using NinjaTrader for free. 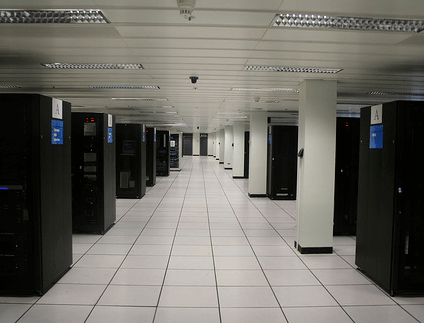 Also, we are glad to help with the installation and configuration of your trading platform and course software. Will you teach me everything I need to know to trade the E-mini S&P? Absolutely! We cover everything in our Mentorship Program. This live training program is perfect for both beginners and professionals looking to enhance their knowledge and broaden their skill set with a unique and proven "flow chart" system of trading. I saw your free news indicator for NinjaTrader but I use a different platform. Do you have a solution? Yes, you can check out the Day Trade to Win News Calendar. Upcoming news events that affect day trading are displayed in your web browser. On the top of the page, you'll see real-time headline news. Below, you'll be scrolled to the closest news event. The closest events are always highlighted. You should stay out of the markets when a High or Medium impact event is taking place. Fifteen minutes later, you're usually safe to go back in. Click the Help button on the Calendar page to find more tips. How long is your Mentorship Program? How many hours is it per week? Our Private Mentorship Program is eight weeks in duration. Individual and Group Mentorship are alike in that both normally have training twice a week for an hour each session. With Individual Mentorship, we will do our best to accommodate your schedule and time zone. Individual Mentorship can be tailored to fit more weekly classes or less depending on your schedule. Eight weeks allots students enough time to learn how to day trade and put into practice the many methods of price action taught. In addition, students are exposed to two months of daily market activity – perfect for observing market behavior and asking questions. What does the Private Mentorship Program include? Besides the eight weeks of live coaching and chart sharing, students receive training in all Day Trade to Win courses, including the Atlas Line®, ATO, Trade Scalper, Price Action Scalping, the X-5 Trade, the Blueprint Method, the Roadmap Trade, How to Filter Trades, How to Trade the News, and much more. Instruction focuses on developing a full go-to plan, allowing you to change these price action strategies based on a market's current price action. To see a full list of what's offered, visit the Mentorship page. After the eight weeks of training, former students are able to contact John Paul directly at any time with questions. How much capital do I need to trade? Some brokerages allow you to trade with as little as $500.00. However, for E-mini trading, we recommend a minimum account of $4,000 to $5,000 to absorb inevitable trading losses. What are your methods based on? Do you use Market Profile, Fibonacci indicators, market psychology, or stochastics? All of our methods are entirely based on price action methods John Paul has developed over years of trading professionally. Price action focuses on watching price as it plots on your charts and trading based on the patterns you observe. Each setup you learn to identify has exact trading rules, as does its management. Our methods are unique to Day Trade to Win, although professional floor traders use similar price action strategies. You won't find anything else out there that's close to what we offer. How long have you traded the E-mini successfully? Day Trade to Win's various systems have been traded on average for over 10 years (some were traded privately before the website). What bonuses are included with my course? Some of our courses include the X-5 Course (also callled the Floor Trader Secrets Manual) as a bonus. The X-5 is a complete trading method with exact entry and exit rules. Some courses also include software versions that automate the method taught in the course. Visit the courses page to see what's offered. I looked at all of your courses and still can't decide what I need. What should I do? Please contact us toll-free at 1-888-607-0008 or [email protected] We'll come up with a plan that works to meet your goals.